Leaving a club having the size and stature that Manchester United does, one must be really bold and courageous to admit that it was a decision that changed his footballing career for the better. 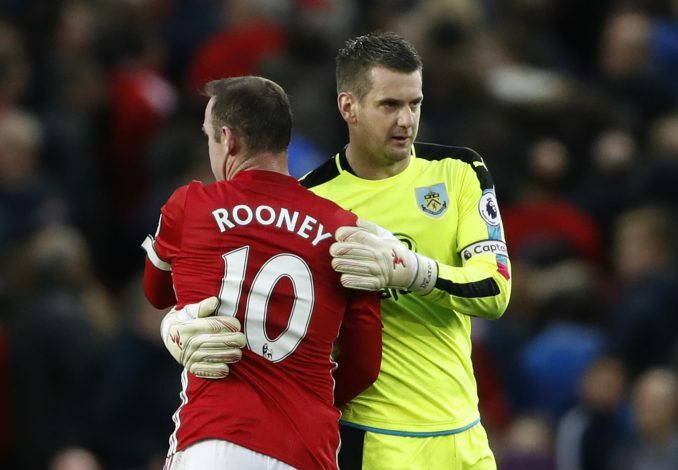 Tom Heaton, current Burnley and ex-Manchester United goalkeeper claims that leaving the Red Devils was ‘the best decision’ he ever made as a footballer. The shot stopper was a part of United’s squad as a trainee in 2002 and soon broke into the first team bench in 2003. However, that was the highest he made at the club, as under Sir Alex Ferguson, he was always seen as someone surplus to requirements. Thus, the player was always out on loan, and after doing that for six years and not stepping out on the Old Trafford pitch even once, the goalkeeper finally made his move to Cardiff City on a permanent basis. While speaking to Sky Sports prior to his clash with United to be held on Sunday, Heaton revealed: “He (Ferguson) had me in the office to talk about a new contract and obviously I had decided it was time for me to go. While talking about his ex-boss and the club he left, the player further added: “That was probably the best decision I made. It was my decision. I stand by the decision, it was a tough one to make, with it being Manchester United having signed there as an 11-year-old. The keeper has now become an England international, and is putting in fine performances for his current club as he has become Burnley’s number one choice and deservedly so. Many thought he should have been the one to replace De Gea in the PFA team of year this season, and judging by the show he put up against United at Old Trafford earlier this season, his case certainly comes out as a strong one. Tweet to get in touch with Vikram Gupta.